Well there is always next year… - Agfinity Inc.
“Well if it wasn’t for next year, I would have quit 20 years ago.” Heard those words before? Hey maybe you have said them yourself! As 2017 comes to a close, we say goodbye to another seeding, spraying, harvest and off to market for the crops of the fields. HOWEVER we say hello to the start of 2018! I know that the farmer might get labeled as certain things, and while we really should learn to complain less (maybe) people need to understand that the farmer is always the optimist! What other profession has a horrendous year and says, “Oh well next year will be different!” most people pull their hair out at the thought! So as you sit with family and friends this Christmas season remember this, next year is coming, and it is really just our attitude towards it that will determine how it ends up being. No amount of foul weather can dampen the spirits of farm life, why? Because there is always next year. The whole crew at Agfinity wants to wish everyone a very Merry Christmas, and a very Happy New Year! We look forward to talking with you all shortly! Have a great finish to your 2017! On schedule & ready to go! Best Wishes Jared & Michelle! 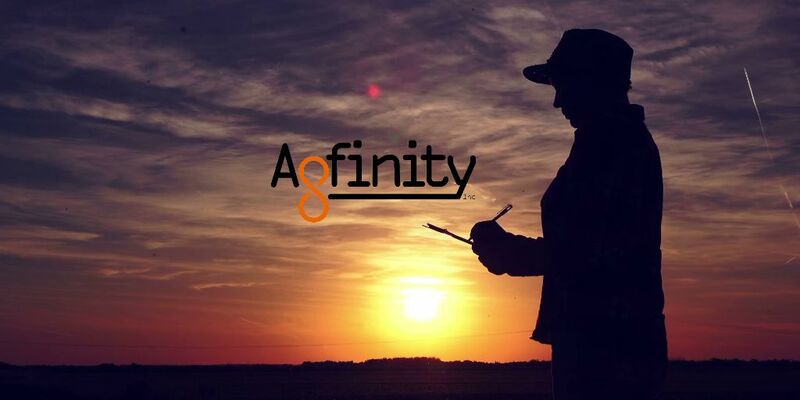 What does teamwork mean at Agfinity? All information provided on the website is for general information purposes only. The information should not be interpreted as individualized advice, investment recommendation, sponsorship, endorsement, and/or financial derivitve or any nature. Agfinity, its owners, directors, officers, employees, agents, contractors, or affiliates guarantee that all material and information presented on the website to be taken from sources believed to be reliable and all information is presented in good faith but no warranty or representation expressed or implied is made to their correctness, completeness, or accuracy.